Monastery or not, the bluebottle didn’t stand a chance. The plump hospitalera grabbed my Brierley guide to the Camino Portuguése, took aim, swotted the insect in one deadly swoop, scraped it off the reception table and handed back the stained book with a satisfied grunt. You can’t afford to be too sensitive when the price of a bed is €5 and the tiny black-clad lady takes you by the arm and opens every cupboard of the kitchen to show you her pots, plates and marmalades. And then hangs out of a top floor window to point the way to the “supermercado” and mimes what can be bought on its shelves. And so began my first night on the Camino, in the Mosteiro de Vairão, a monastery founded in the eleventh century which now hosts road-weary pilgrims. All I needed for dinner after a nerve-jangling walk on the edge of fast traffic was wine and a taste of the marmalade on a bread roll, from the less than “super” mercado. It will take time to adjust to being a pilgrim again. My legs feel strong after a summer of climbing, but walking on roads and cobbles is nothing like the spring of heather and moorland. And I packed with care, yet the backpack weighs heavy on my shoulders and I’m constantly adjusting and readjusting the straps to find a comfortable fit. But the sun has transported me back to summer, my boots are eating up the miles and the characters on the road entertain and amaze. The young Dutchman now remembered as “The Boy Wizard” carried a massive pack that was five times heavier than mine yet he claimed to be “flowing with synchronicity”. He did slow down when we reached the first hill. And I haven’t seen him now for some time. I thought the Camino had eluded me this year. The urge to climb high and view the world from Scottish peaks and sleep in green corrie campsites filled my head and heart all spring and summer. It absorbed every scrap of my energy and enthusiasm – and a lot of time when I should really have been working. 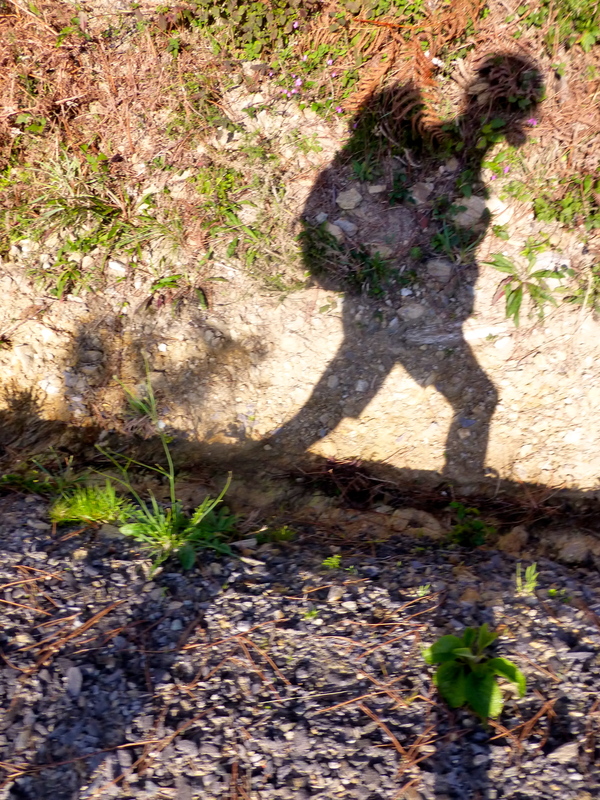 Triggered by photographs, long shadows on walls or roads and contact with pilgrim friends on three continents, El Camino has lurked and tugged at my imagination. It’s three years since I first set foot on the Way from St Jean Pied de Port and there hasn’t been a day since when I haven’t reflected on that journey, the people I met and the mark it made on my life. And now, almost without warning, my backpack is loaded and my heather-scratched boots are patiently waiting at the door. My passport and guidebook are laid out on the table and the departure for my pilgrimage in the footsteps of St James is imminent. This time I’ll walk along the camino portugués, along the route reputedly walked by Sant Iago himself when he first preached his gospel. Poignantly it’s also the way his body was carried back to be buried in the site now known as Santiago de Compostella. I’m hoping for a Buen Camino. The temperature in Sweden’s forests is sub zero, it’s slippery underfoot and thin ice is setting in swirling patterns on the lakes. 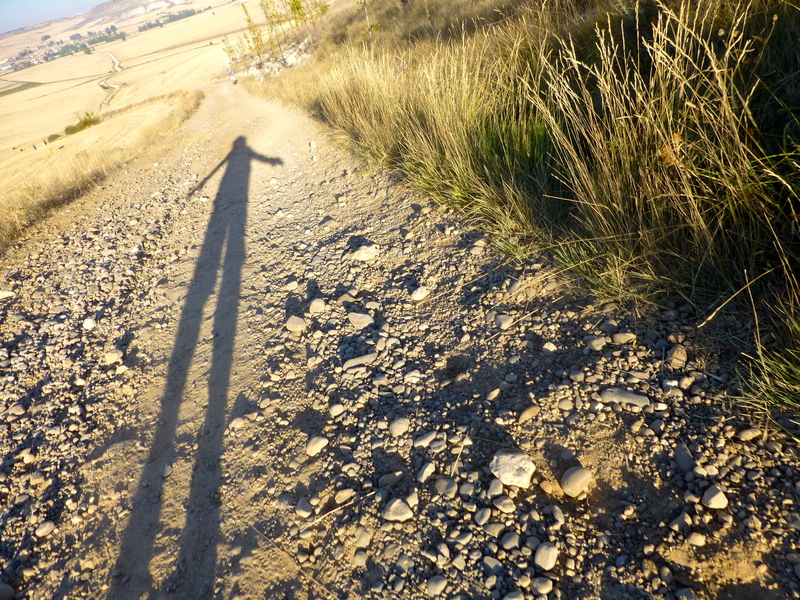 There’s no scorching Meseta sun or cafe con leche around every corner and the paths are quiet and empty. Spain is thousands of miles away, yet the companionship of camino family and recalled memories of that pilgrimage to Santiago feels close. I was having a bit of a wobble; a bleak, dark November crisis of confidence and positivity. So I went for a walk around the seaside town I’ve made my home for the winter (probably: the jury’s still out). 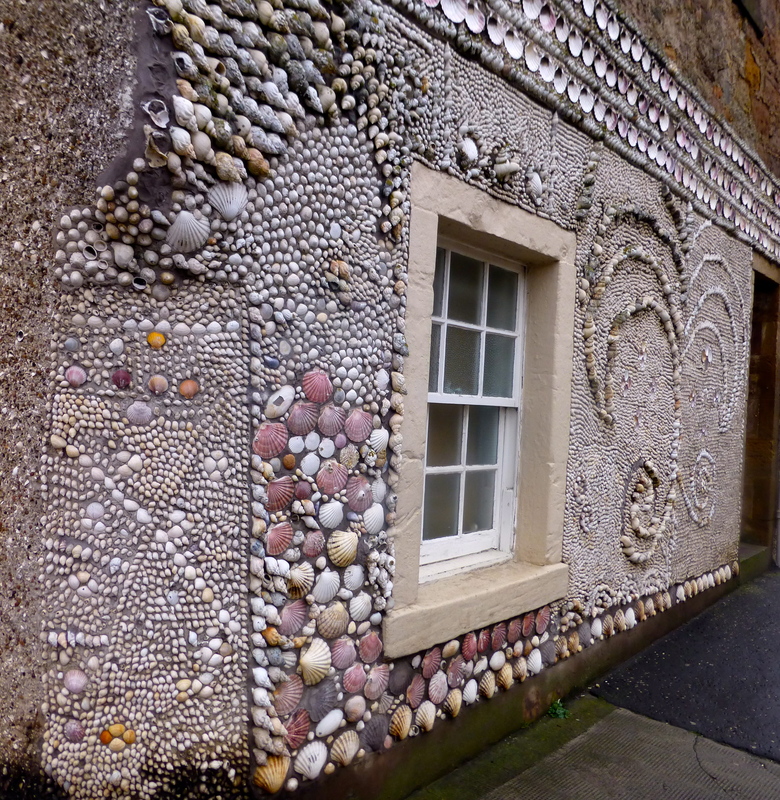 And that’s when I stumbled across the Scallop Shell House. It sits on an unprepossessing corner of a busy road, but it’s a work of art. 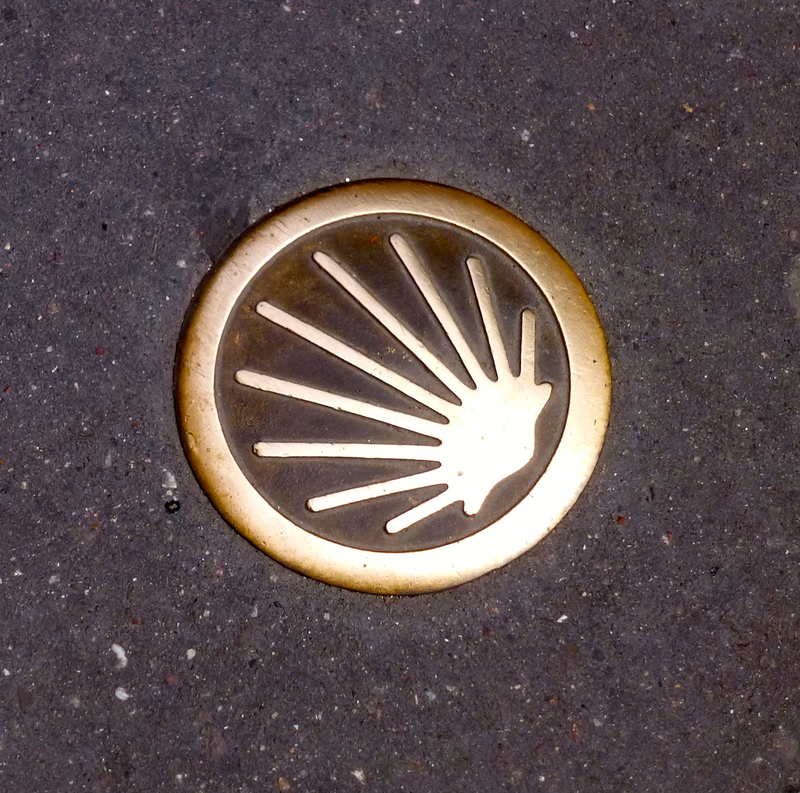 And it brought an immediate rush of powerful Camino memories from the happy weeks I spent walking across Spain, following the scallop signs. At that time I had no doubts; it was enough to just follow the shells on the roads, the pavements and on the backs of my fellow pilgrims. 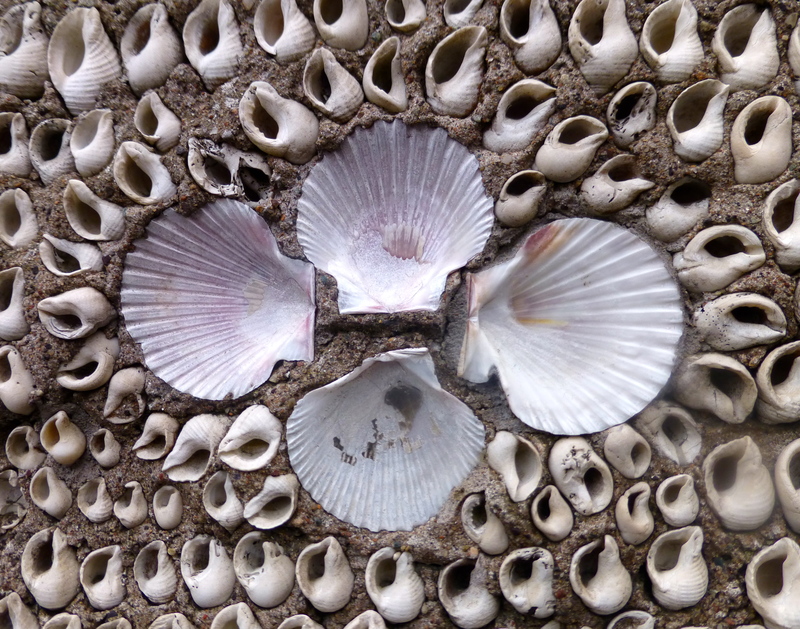 Earlier this year I discovered a rough track in the north of Scotland that was spread with thousands of scallop shells and took some comfort then that I was, just maybe, following the right road. 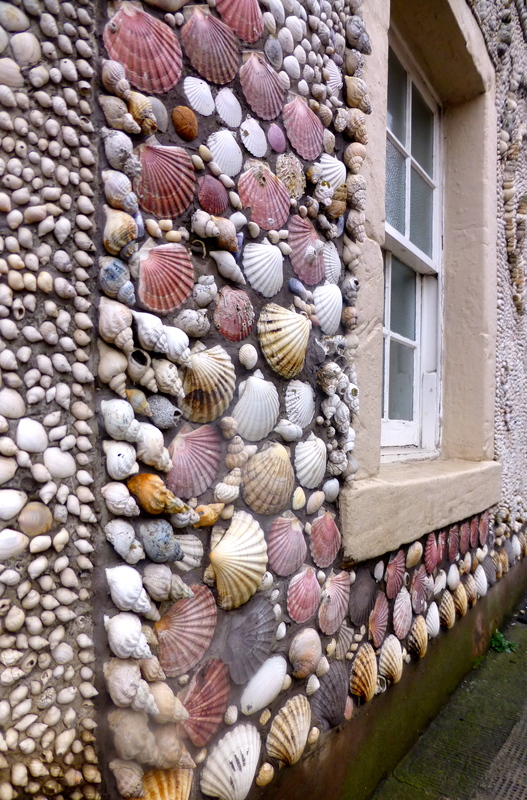 I’ll do the same again tonight, and place my trust in the crazy little house of shells just along the street. 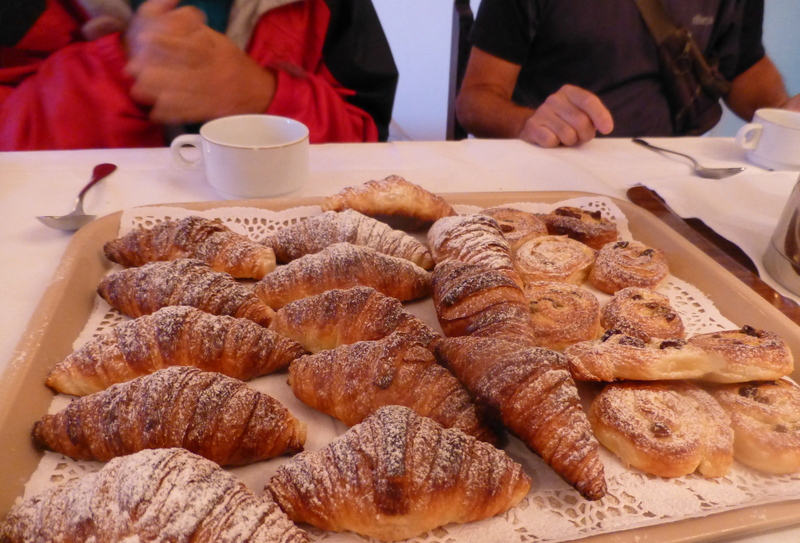 The croissants were scrummy but Breakfast In The Parador wasn’t as grand an experience as you might imagine. The splendid state hotel which now stands on one side of Santiago’s beautiful Cathedral Square was originally built in 1499 as a Hospital for pilgrims who travelled from all corners of Europe to pay homage to St James at the neighbouring Cathedral. When they reached the end of their long journeys dirty, hungry and exhausted they were given food, drink, a bed for three days and – if they needed it – medical help. That tradition endured over the centuries but in the 1950s the hospital was converted to the swanky hotel that now attracts a prestigious clientele and fosters an air of indulgence and superiority. 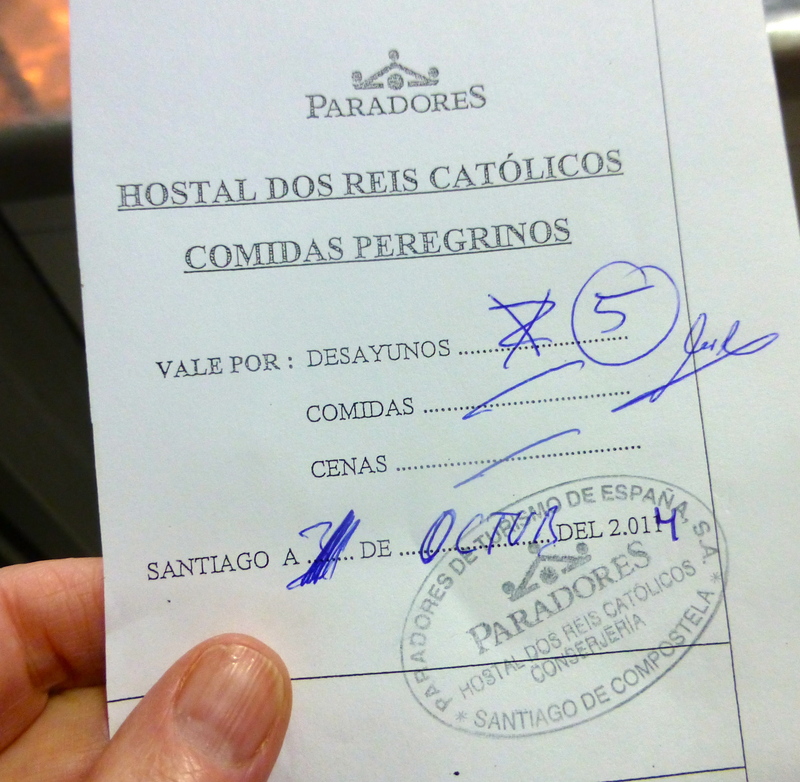 Yet the custom of helping pilgrims who arrive in the city has been honoured in a token way by giving the frst 10 peregrinos who turn up each day a free breakfast, lunch or dinner. 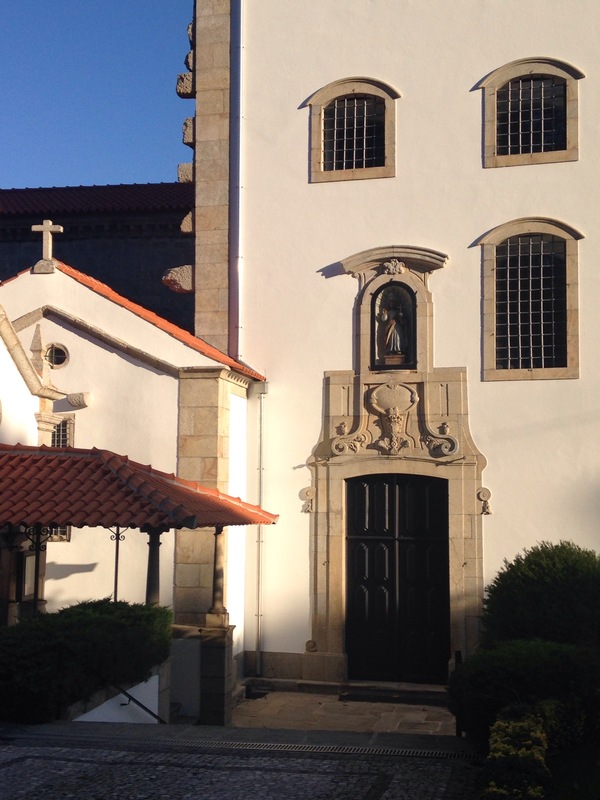 The rule is that you line up with your compostella as proof of your pilgrimage (but minus your backpack) at the stable door and wait to be led inside and manoeuvred swiftly through the smart quarters to a staff door which leads up a flight of stairs to the kitchens. We stood in a humble line beside stacks of plates and trays of semi-prepared food as waiters whisked past balancing trays and contemptuous sneers. I can’t imagine a British hotel kitchen allowing half a dozen random people to hang around near uncovered food, but it was a fascinating insight into continental hygiene standards. It was also an insight into how it must feel to be on the receiving end of charity. We could all have afforded to go into the old town to buy our breakfasts at a cafe but chose to experience the medieval tradition as part of our camino. Maybe the staff are overworked or just tired of people turning up in their kitchens three times a day, but sadly the token “charity” wasn’t dispensed with speed, grace or even a smile. Yet nothing was lost. 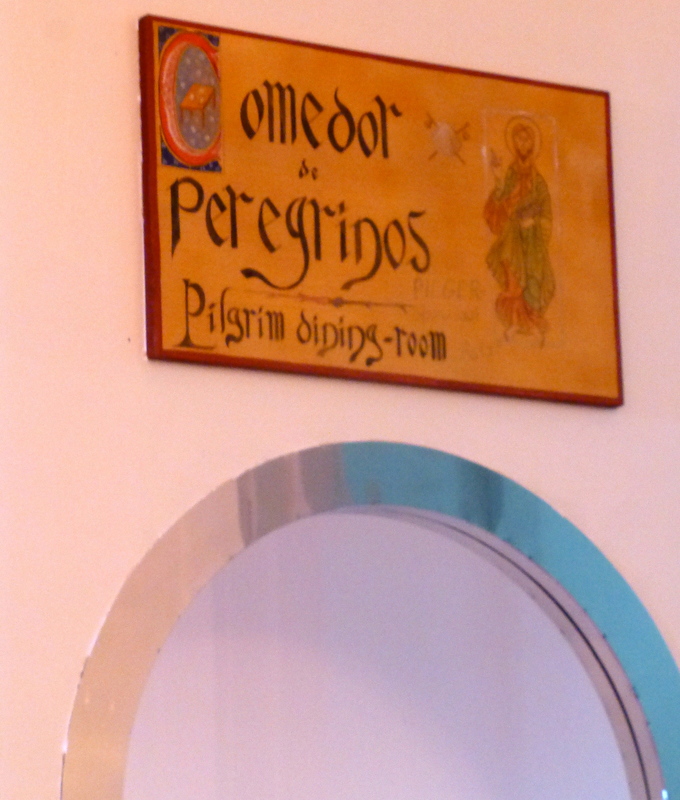 The pastries and coffee were good and, as always on the camino, it was the multilingual conversation between strangers that was the memorable part of the half hour we spent in the Pilgrim’s Dining Room at the top of the back stairs of Santiago’s posh Parador. The walk to Muxía was long, lush and memorable for its scents. Wild fennel grew abundantly along the borders of the paths when we finally tore ourselves away from Finisterre, after waiting for the sun to rise, admiring John’s freshly created Camino tattoo, checking in at the supermerado for fruit and bread, and saying “hasta luego” one last time to old friends about to scatter across the world. We walked on through the haze of aniseed. It conjured up incongruous images of Pernod in smoky Parisian cafes. 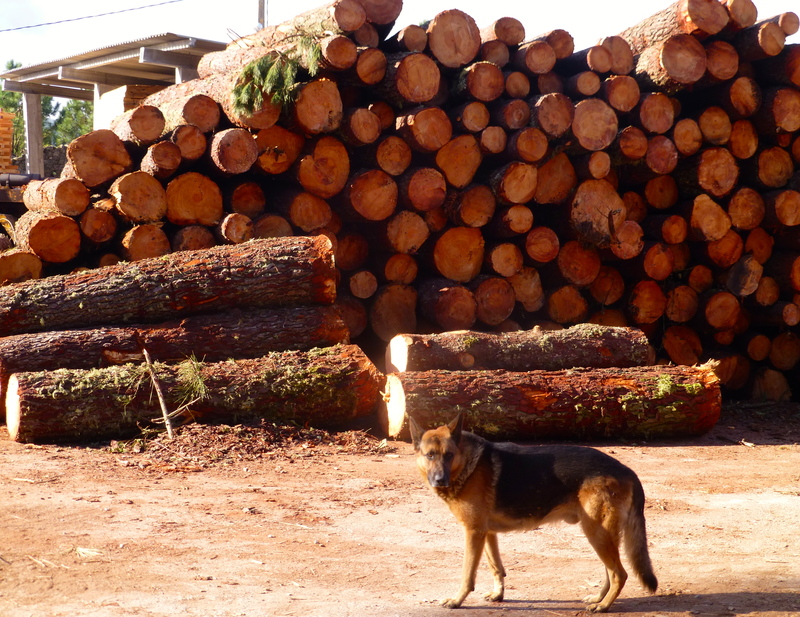 In the deep thick woods and on farm tracks there was the moist autumnal morning scent of ferns, then freshly cut wood, stacked and guarded by dogs at a sawmill. I saw more large dogs on this stretch than any other, and they were often loose and haughtily territorial. We eyed one another suspiciously. And then suddenly a familiar smell from childhood; the imprinted aroma of sodden hay that’s been lying in the field too long. It was a hazard of Highland summers but seemed impossible in this climate, yet there it lay, flat and dark in shady rotting rows. 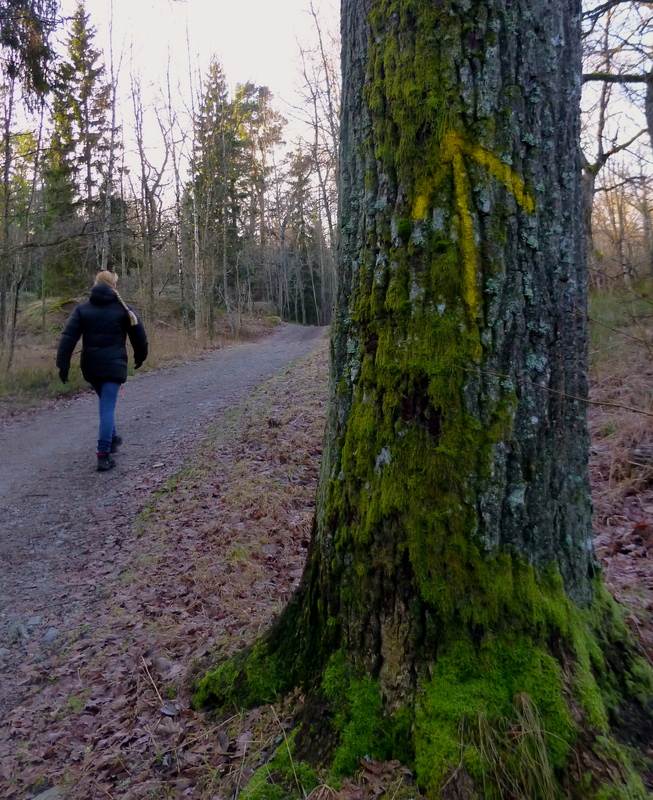 I’d read that this extension of the Camino was poorly marked but I think someone must have just been out with a yellow paint spray because the arrows were strong and clear, all the way to Lires, and the solitary cafe that was midway on the 30km route. It was just as well I’d had no breakfast because the tortilla served on a huge bocadillo would have fed three – generously. There must have been at least six eggs involved in its creation. I gave it my best try. I loved the walk over moorland and through the woods but near the end of the long day our route joined the main road and skirted the beautiful Lourida beach where pilgrims were jumping from sand dunes and paddling in waters that are too treacherous for swimming. It felt like a long, weary haul on the hot tarmac through the outskirts of town to find the tourist office where old ladies knitted and another compostella was granted with evidence of stamps from my pilgrim passport. The best hostel in town is Bella Muxia and just beside it is A de Lolo restaurant which serves the poshest pilgrim grub I’ve ever come across! The wine is good too. But now we’ve reached the end of the road and will have to get a bus back to Santiago tomorrow. 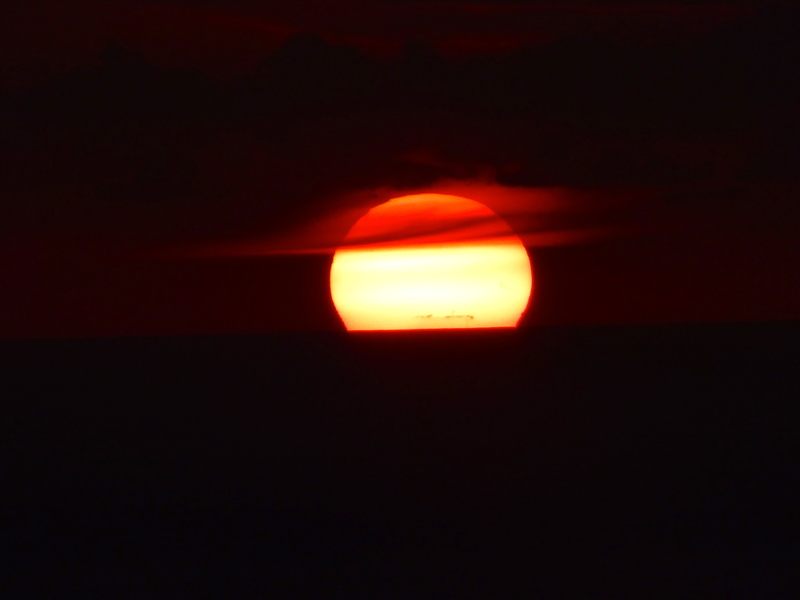 There’s still another sunrise to look forward to in the morning though, maybe up on the rocky hill above the town, and the legendary stone boat down by the sea to explore. It’s not over yet. The complimentary churros served with our cafe con leche in one of Cee’s town centre cafes probably slowed us down this morning, after the initial sugar rush had passed. That, and meandering around the colourful market, choosing fresh fruit to eat on the road to Finisterre. I’d imagined, since we were already at the coast, that it would be a simple stroll along the beach to the end of the world. How naive. I should have learned long ago that when any route has an opportunity to gain height, it does, and on the Camino you don’t consult the map, you just follow the yellow arrows. They took us upwards, to high vantage points, through Corcubión’s medieval streets and up again to finally catch sight of Finisterre. 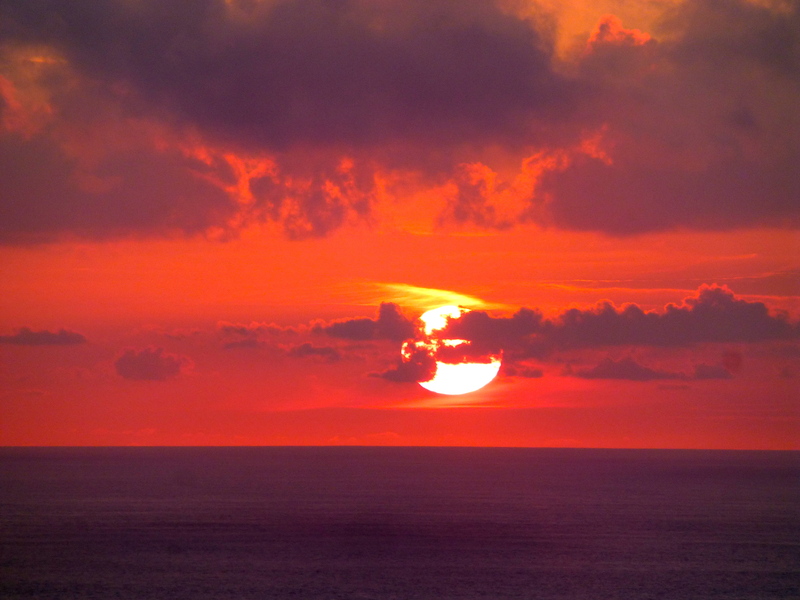 I tied my boots to my pack once we clambered back down and reached the beach, and like the pilgrims ahead of me waded barefoot the length of Playa Langosteira, all the way to the edge of town and the first bar, where a cerveza was already poured and waiting. We had arrived. The hostel we found looked a bit bedbug friendly but, feeling reckless, we stayed nevertheless then lined up for our Compostellas in the pilgrim office, ate, drank and set off again, up another hill in the dusk to the legendary lighthouse, past statues of pilgrims, crosses and all the commercial paraphernalia of a tourist hotspot. But as the sun started to sink it wasn’t hard to find a quiet rock out on the headland to sit and savour the experience. 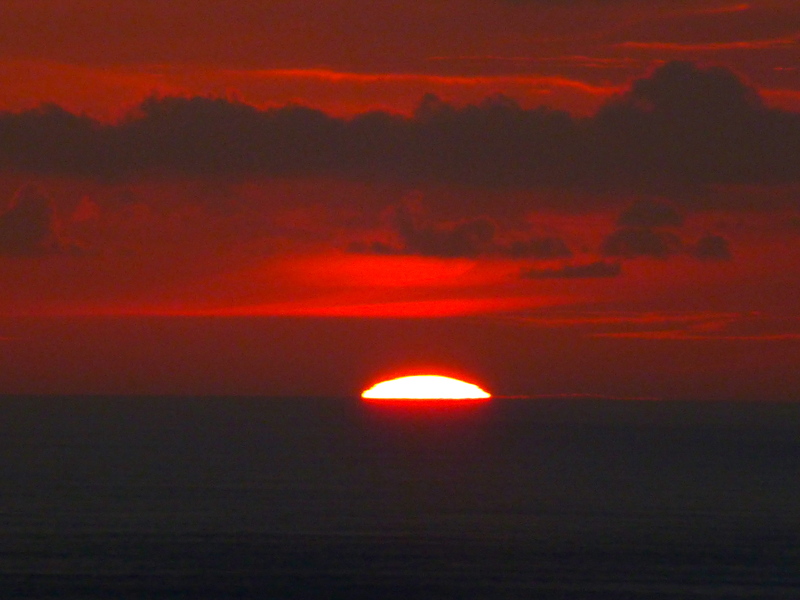 When the last rays sank into the water there was spontaneous applause. The five amigos hugged when we found one another then we walked – one limping – back down the hill to celebrate the sun, life and the adventure.